Can I tell you guys something? It's very hard and very expensive. The first time my husband came to the United States it cost him over $10,000. That's $10,000 earned by someone who lived in Brazil. Remember, most people only earn about US$12/day. Can you actually fathom how much money that is to someone here in Brazil? It's about three to four years' salaries. Then, he said goodbye to everyone and everything he knew, boarded a plane, and landed in a country where he didn't understand the culture and didn't speak the language. Now, let me stop you before you say, "Well that was his choice (doesn't make it less hard). He came to a better place (that's subjective). He should have assimilated (he did, it takes time)." Or maybe you want to go the far less empathetic route and say you don't want South American immigrants in the U.S. at all? Well, my husband was a tax-paying, employed, charity-oriented, productive member of society, who never used a single penny of government assistance. Additionally, he cared for our children while I, a military member, was called to TDYs to serve the country. He was a very big supporter of the military. He purchased meals for the homeless, he volunteered to build houses with charities, and he always went annoyingly above and beyond to help people. And he learned English. Can you speak that highly for all Americans? My point in this rant/rave is that too many people are blessed with citizenship by simply being born in America. I'm not saying we should take away citizenship by birthright. But actions, to me, are much more important, if you want to talk about "who deserves to be here." From my side of the coin immigrating is probably the scariest thing you can do in your life. Scarier than having kids. I thought I spoke pretty good Portuguese, I thought I was used to Brazilian food, I thought I was used to Brazilian culture. The absence of American culture - my native culture - has been extremely difficult. No one here speaks English or even pretends to accommodate me (which I don't expect them to, but I think it's awesome and also important that we do that in the U.S.). And I really, really miss the amalgamation of cultures in the United States. Everyone here is brown. Everyone here speaks Portuguese. It's very homogeneous. That didn't sink in until we were at a little luncheonette owned by a Japanese family (Brazil has a large immigrant Japanese population) and they started speaking Japanese. I realized that it was the first time in Brazil that I saw non-Brazilians speaking non-Portuguese. I can't walk into Target in the United States without hearing at least three different languages and walking past a Turkish woman, a Mexican man, a black teenage hipster, and a Starbucks and Uggs toting blonde. Oh my gosh how I miss the diversity! Even the buildings and the dirt here are brown. Brown, brown, everywhere. I renewed my tourist visa and again, it was very, very difficult. I've found that a combination of having an adorable white, blonde, blue-eyed baby and lots and lots of tears will get me far in Brazil. We went to the Federal Police 10 minutes outside of town to inquire as to which documents I need for my permanent visa and were informed that they no longer provide those services and that we had to do it back in town where we came from. To make a long post short, we spend a day gathering required documents, paying required fees (across the city at the bank), almost killing each other, and I got a nice little stamp in my passport. Phew - good for another 90 days. Now to get my permanent visa. This is a little more tricky, in part because the government here likes to randomly shut down due to lack of funding. After another trip to the visa office, we gathered all our documents, made all our photocopies, paid over R$120 and spent half a day getting them notarized. Side note: I needed a document notarized that said I am my kids' mother and they are dependent on me. The notary asked if I spoke Portuguese and when I said a little, she responded, "Well, you're going to have to read that document back to me in Portuguese, but in your own words so I know you understand what you're signing." Queue my panic attack and forgetting everything I know. Thankfully I muddled my way through it. So the next time you come across an immigrant who fumbles their English, consider that they might be trying their best and just super nervous. Save the "speak English or get out" rant. End side note. Now I just need to pay another R$450 to the bank for my visa fees, bring the documents in, pass an inspection, and hopefully get my visa. PHEW! I wish you the best of luck getting everything accomplished in time. Thanks Liz, we're almost done with my stuff - now to concentrate on Farley's Visa. This is where the REAL headache begins! When I first heard about the immigrant crisis, frankly I was thinking that there was a Muslim invasion of Europe specially considering that the neighboring Muslim countries (i.e. Saudi Arabia) have accepted 0 immigrants from Syria/Lebanon. Then there was the attack in Paris, and I've changed my mind! I think ISIS considers the immigrants as traitors to their own country/culture and wants Europe to close their doors to them, see them as threats to the land security. Well, the Western world should open their doors wide open then!!! Besides, it has been confirmed that some of the kamikaze in Paris were French nationals. That means that if there are ISIS members infiltrated into our countries, it's already done. It won't come from the new migrants. I agree. I don't think it's any secret to us expats that many Brazilians in the states are there illegally, which raises the point that even if ISIS has NOT already infiltrated the country, and even if ISIS has NOT already recruited Americans, they could always cross the border. The whole "States should refuse refugees because militants could come with them" arguement can be countered too many ways. And I should mention that one of the ISIS leaders already admitted that he freely (illegally) crosses European borders. I'm working on my husband's Visa application now and all I can think about is how badly the whole process needs to be reformed. You can make fake a passport/visa, but if you're legitimately going through the process, PHEW!!! So true! I found an old survey book I filled out and I realized I had left the "my thoughts on illegal immigration" section blank. I guess I was conflicted about it then. Well, I have a pretty solid opinion now. I'm NOT for illegal immigration, as liberal as I am, because it really, truly hurts illegal immigrants. I could write a whole book on how detrimental it is to a person, but the more important lesson that I learned on our immigration journey is that the process is MESSED UP! 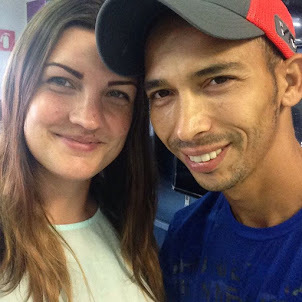 It wasn't AS bad coming to Brazil, even if it was terribly difficult, but going through the U.S. immigration process - I understand now why so many choose just to come illegally. But that path, while skipping the bureaucracy, is fraught with dangers - real deal, super scary, life or death dangers. For those who don't experience it, immigration is a fleeting thought and immigrants are easy to dismiss. And it breaks my heart when even those closest to us, experiencing this, still side with the masses calling for stricter, harsher laws. Right? And I want to vomit any time I hear the "my ancestors came here legally" argument. When? When they merely had to come over on a boat and sign a document?